Delhi Daredevils are just hanging in there with a glimmer of hope to reach the play-off as they beat the defending champions, Sunrisers Hyderabad, by 6 wickets. 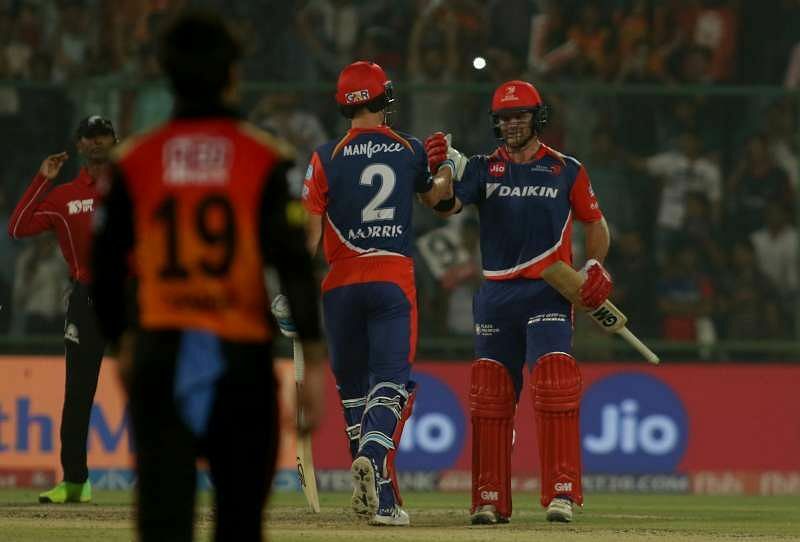 After winning the toss, Delhi Daredevils captain Karun Nair asked the Sunrisers to bat first on a relatively good batting track. The Sunrisers went in with confidence and started the game aggressively, thanks to some vintage batting from Shikhar Dhawan and David Warner. They somewhat lost their way in the middle, but were catapulted back into contention by Yuvraj Singh, who helped the score reach 185. In response, the Daredevils beautifully constructed their innings with the right amount of aggression and won the game with relative comfort in the end. Here are 5 memorable moments from the match that don't fade away, quite like the Axe Signature range of body perfumes. 0 Komentar untuk "5 memorable moments from the SRH v DD match that don’t fade away"